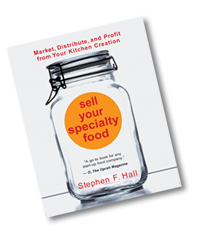 When it comes to understanding the questions of the food business entrepreneur, Stephen Farrelly Hall has the answer. As President and Founder of Specialty Food Resource.com, LLC, he has been helping business owners get from point A to point B for the past 30+ years. His intimate knowledge of the gourmet food trade has earned him an endorsement from Oprah on his best selling book, Sell Your Specialty Food [From Kitchen to Market]: Market, Distribute, and Profit from Your Kitchen Creation that continues to be a powerful yet affordable how-to reference guide for thousands of people. Stephen can be found at all the largest food conventions across the country and teaching workshops throughout the year. He is actively sought out by both start-up and established businesses for his coaching expertise. His successful process includes strategic planning, product selection, pricing, sales, and marketing. 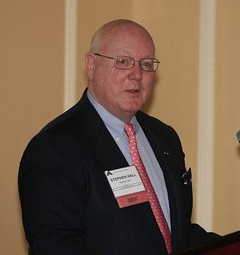 His impressive history includes business support for companies like Newman’s Own, Wheetabix, Boston Harbour Tea, The Silver Palate, and many other national and international brands.